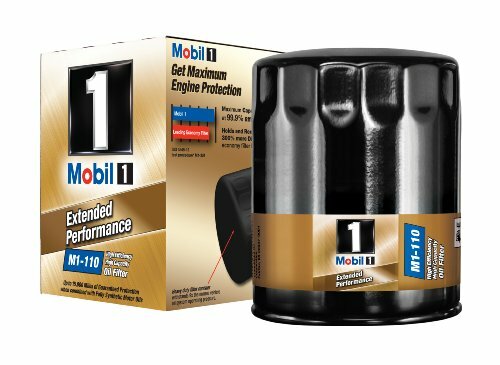 We looked at the 10 most popular oil filters on the market for durability in construction, features, type of filter, longevity, cost, reputation of brand, and customer reviews. The three oil filters featured below are at the top of the list in all the categories. You can be confident about the filter’s performance when you choose one of these three quality products. The right oil filter will help your car run more efficiently and will keep debris and abrasive particles out of the engine where they can do a lot of damage. The information in this guide will provide you with the knowledge you need to make an informed decision. This decision will result in an oil filter that you can count on. Depending on what region you live in, your vehicle can be tested by some pretty extreme road conditions and harsh weather. With computer systems running a lot of the engine functions in new cars these days vehicles have some of the most efficient systems ever. To keep your vehicle running as smooth as possible you need quality engine oil and a good quality oil filter to ensure the oil stays free of abrasive particles that can cause problems. If you are in the market for a new oil filter there are some things you will want to take into consideration before your purchase one. Every car has a specific size filter they will need so you must have the right information about your vehicle to ensure that the oil filter you purchase is the right fit for your vehicle. The wrong size oil filter can result in low oil pressure, improper oil filtration and oil leaks. 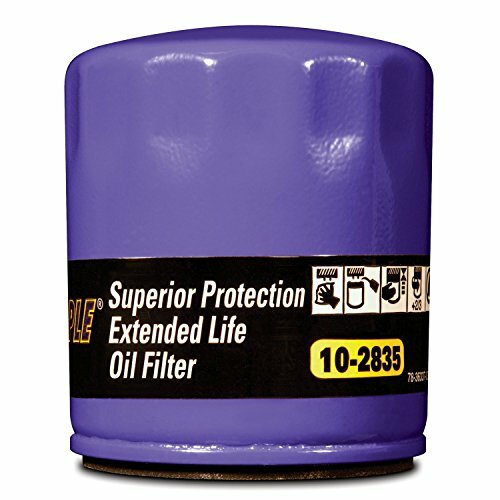 Get superior particle removal and high-performance from Royal Purple’s Extended Life Oil Filter. Every filter features 100% micro-glass media which ensures the best particle removal possible; 99% efficiency at 25 microns is what you can expect. 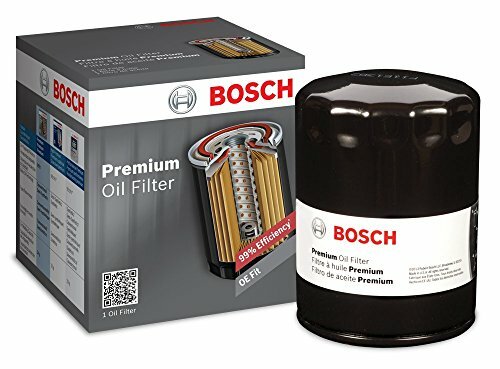 Another great oil filter is the Bosch Premium FILTECH Oil Filter. The FILTECH media technology efficiently screens out more of the harmful contaminants from the oil, providing your vehicle with enhanced engine protection. The steel base is strong and durable and prevents leaks, improper or poor fit, and warping as well. The anti-drain back value is made of silicone which is much stronger and longer lasting than rubber. This ensures that the car has a supply of oil that is clean every time it is started. This prevents dry starts which are not good for the engine. This leak-free canister is due to the double-locked seam that is rolled and prevents leaks. The gasket is designed with high lubricity to ensure easy removal and a tight seal. This Bosch filter area is a whopping 42% bigger than other conventional filters, with a filter media that is almost 30% thicker. This enables it to get rid of even more harmful contaminants. There are several things that you need to learn about when you are sorting through all of the different oil filters. Knowing the top brands is important but you will need to understand a little bit more to ensure you choose the best possible oil filter for your vehicle that you can get. The three oil filters that we have reviewed above are all great examples of top quality, long lasting oil filters. These top rated oil filters are designed to be strong, durable and long lasting as well as being equipped to handle a lot more contaminants than conventional filters are able to handle. They are from well known brands in the automotive industry and ensure that you won’t have to worry about leaks due to defects in the design. To learn more about choosing the perfect oil filter for your vehicle, continue reading below. The buyer’s guide we have provided for you will help you understand more about oils filters and how to sort the good quality ones from the ones you won’t want to spend money on. This information will make the selection process much easier. There are two basic types of oil filters on the market: cartridge and canister. The enclosed, canister filters are also known as “spin-on” filters. It will vary from vehicle to vehicle which one they will need but the owner’s manual can help you with this. In addition, most places you can purchase oil filters, including online, have ways to help you with the type of oil filter your vehicle needs based on make and model. What is an oil filter? – An oil filter is a part of the engine that is replaceable and is responsible for removing contaminants and dirt from the oil. The most common type of oil filter used in most cars is the steel canister variety. Depending on your vehicle’s needs, your vehicle may require a canister that is set into a housing that is attached to the engine. How do oil filters work? – Oil is pushed through your vehicle’s engine via the oil pump. This pump ensures that the oil flows through the pleated media that is inside the filter. This filter removes any contaminants or dirt that can get into the engine and cause damage. The better quality the oil filter is, the more contaminants that can be removed from the oil. Primary Oil Filter – The majority of vehicles have a primary oil filter which is the standard in most vehicles. The primary oil filters can filter large amounts of oil with some limitations that allows the oil to flow freely even during cold weather conditions. There is a bypass vale that is triggered when the filter becomes clogged which allows the oil to go around the filter and still lubricate the engine. Secondary Oil Filter – Most diesel engines have a secondary filter. This extra filter takes some of the oil that has passed through the primary filter so it can have additional cleaning done to it. This secondary filter can also be added to gasoline engine vehicles which will help extend the life of the engine and extend the time between maintenance oil changes. Magnetic oil filter – Magnetic oil filters contain a small magnet that is built into the canister that will attract rust and metal that has gotten into the oil. The magnet will hold the shavings inside the canister to keep them from being released into the rest of the engine. Some oil filter models allow the magnet to be added to the inside or outside of the filter canister. There are several things that you need to consider while you are researching different oil filters. We have listed these factors below. Taking these points into consideration while you are researching filters will ensure that you choose the best one for your vehicle. Functionality and Oil Filter Features– Not all brands of oil filters have been designed the same way. There are definitely better made brands that may cost more but are worth that extra cost in the higher levels of performance. Look at the features of the oil filters you are considering and make sure that you choose a filter that has the kind of features that will provide excellent results. Top Oil Filter Brands – There are many brands that are well known for their quality and performance. Take a look at these brands when you are shopping. Generic and cheaper oil filters may not offer your engine the protection it needs. Top, well-known brands include Bosch, Mobil 1, Fram, Royal Purple and Bosch. ACDelco is another popular brand. Original Equipment vs. Aftermarket – You have a choice between the type of filter that was with the vehicle when it was bought and aftermarket filters. Original Equipment, also known as OE, is designed based on the manufacturer’s specs. Aftermarket filters are typically more preferred by car owners since they are usually more specialized. They are also more expensive than OE filters and last longer too. Customer Reviews and Comments – Customer reviews are crucial for finding out detailed information about the performance of a product you are interested in purchasing. Paying attention to how other customers are experiencing the performance of the filter they have purchased. People are always happy to share their experiences, good and bad, so if there are things to beware of it will show up in the customer reviews. There are several causes of an oil filter failing to do its job properly. These are things that can be avoided with attention to maintenance. These things include lack of oil changes at the appropriate times, sludge-y engines and severe duty driving. Severe duty driving can include such situations as regularly towing a trailer, idling in traffic on a regular basis, driving in dusty or sandy conditions or using car top carriers on a regular basis. Signs that your oil filter is failing and needs to be replaced include leaking from the filter housing or filter itself, the engine light comes on, or the filter going into bypass mode due to being clogged. Things that can happen due to an oil filter failure include dirt and contaminants getting into the engine and causing problems with the engine walls and pistons, oil smoke coming from the tail pipe and a shortening of the engine life. Purchasing the correct oil filter is one of the critical elements of keeping your vehicle in good running condition. Let the oil filter go or get clogged and you could end up with a lot of engine trouble. With all of the different oil filters on the market, it could be difficult to figure out which one is the best one for your vehicle. The three oil filters we have featured above are terrific examples of excellent quality oil filters that will do a great job of cleaning your vehicle’s oil of the contaminants that can cause problems if left to get into the engine. If you are not interested in any of the three we have featured, use the information we have provided in this buyer’s guide to sort through all of the choices and help guide you in selecting an excellent quality oil filter that will protect your car’s engine and extend the time between oil changes. Going with trusted names in the oil filter market means you are more assured of a high performing product and will get more protection, features and longevity than if you just grab the cheapest on the market.